Fitness trackers have reached a certain level of maturity: the new models are evolutionary, not revolutionary. 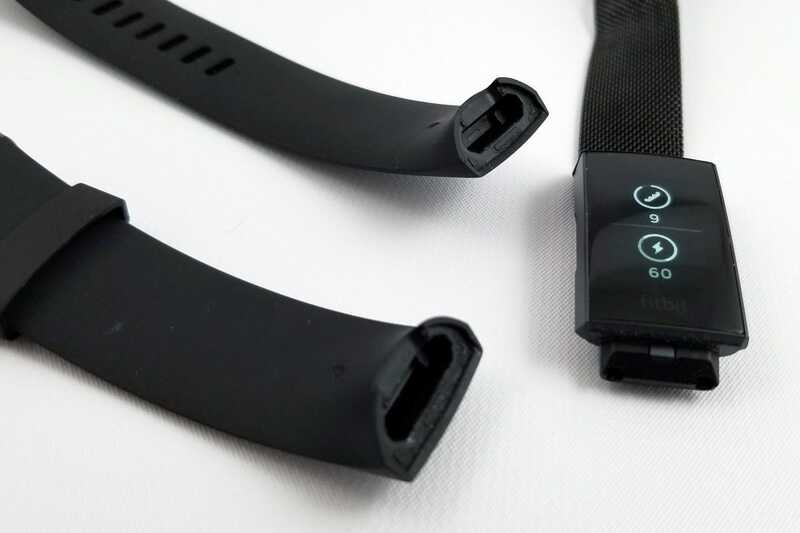 So it is with FitBit’s Charge 3, the company’s most powerful model underneath their more elaborate (and expensive) smart watches. At $150 ($130 street price), the Charge 3 offers pretty much every feature a general fitness enthusiast could want, and it connects with one of the most popular services out there. But FitBit has reserved a few obvious choices for its watches, and the Charge 3 doesn’t offer enough over the Alta HR or the new Inspire HR ($100 street price) to justify the middle ground. 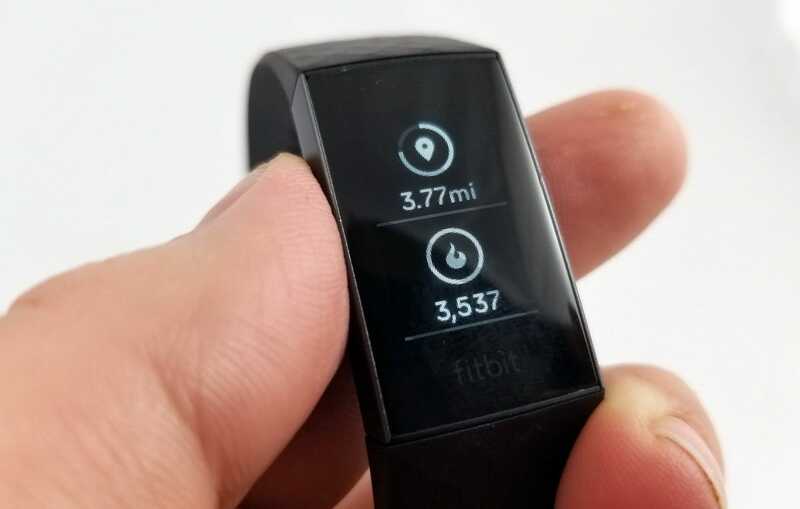 At this point, FitBit has refined its flagship tracker to a mirror shine, cramming in almost every feature you might want short of a full Apple Watch or Android Wear device. 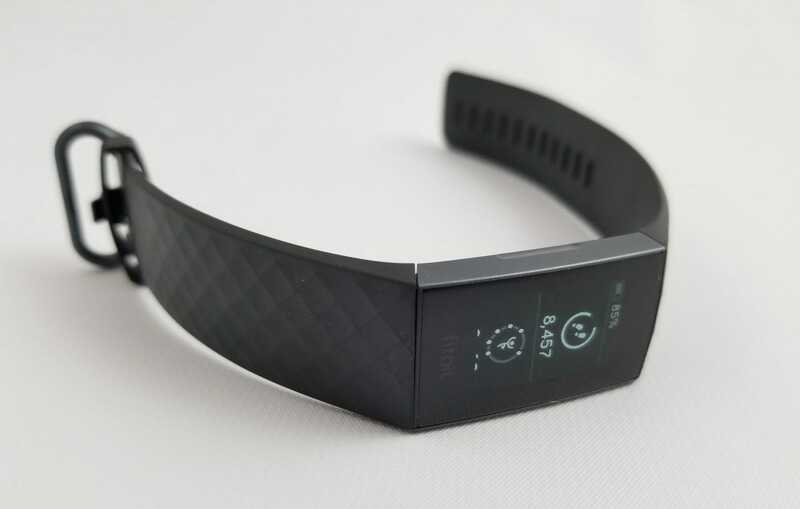 That includes a bigger, long-lasting black and white OLED screen, 50 meters of water resistance, automatic workout starts and pauses, and sleep detection. The screen is covered in Gorilla Glass (the same stuff they use on your phone), and underneath is the now-ubiquitous heart rate monitor. The Special Edition, $20 more, is identical save for an NFC chip used for FitBit pay. As a more dedicated device, the Charge 3 leaves out most of the app and organization features you’d find on a bigger watch-style design. The interface will let you manually start and stop exercises and do a few basic tasks like set timers or reminders, and the screen will show notifications from your iOS or Android phone (with quick replies on the latter only). Other than that, this thing is all fitness, all the time. And that’s okay! It’s much smaller than any smartwatch, and the battery has consistently lasted about a week for me, with hours of exercise and sleep tracking every day. I appreciate not having to worry about a battery level on any given day, and despite including goodies like elevation tracking and auto brightness for the screen, the device is still tiny enough that I often forget I’m wearing it. But I’d gladly trade some of the more esoteric features, like guided breathing exercises, for a couple of more practical options. On-board GPS is probably too much to ask for at this price point (the Charge 3 relies on the FitBit app on your phone to track location), but I don’t see any reason why music controls can’t be included, since that’s an essential part of many users’ workouts. I suspect the basic play/pause functionality has been deliberately left out to make FitBit’s more expensive watches more appealing. The Charge 3 isn’t as tiny as some other fitness trackers in FitBit’s lineup, but it is extremely lightweight with its aluminum enclosure. And the case and clasp mechanism has been refined since the Charge 2: it not sits more naturally on your wrist, and swapping out bands for something more sporty takes literally seconds. It wouldn’t be unreasonable at all to swap bands every day, or color-coordinate with your current outfit. It’s a good thing there are plenty of cheap third-party options, then: you’re not restricted to FitBit’s expensive first-party options. I picked up a snazzy metal band with a magnetic clasp for about ten bucks on Amazon. Moving through the Charge 3’s menus and buttons takes a little adjustment if you’re used to managing this stuff on a big smartphone screen. 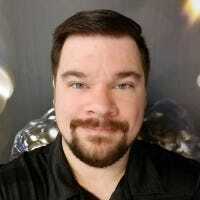 But the taps and swipes start to make sense quickly, and what isn’t available on the device itself can be found in the app (albeit with a little bit of hunting). The auto-detection for the screen is a little less sensitive than I would have liked, and unfortunately, I haven’t found an option for boosting it. At least getting the screen on is always easy thanks to the single touch button on the left side. There is one thing that bothers me: while exercising, there isn’t enough room on the screen for a clock. I’ve often had to bring my phone out of my pocket or bag just to check what time it is…which seems like a pretty huge miss when I already have a hunk of electronics on my wrist. It’s also impossible to go back and check the time or change other settings while an exercise session is in progress, even if it’s paused. 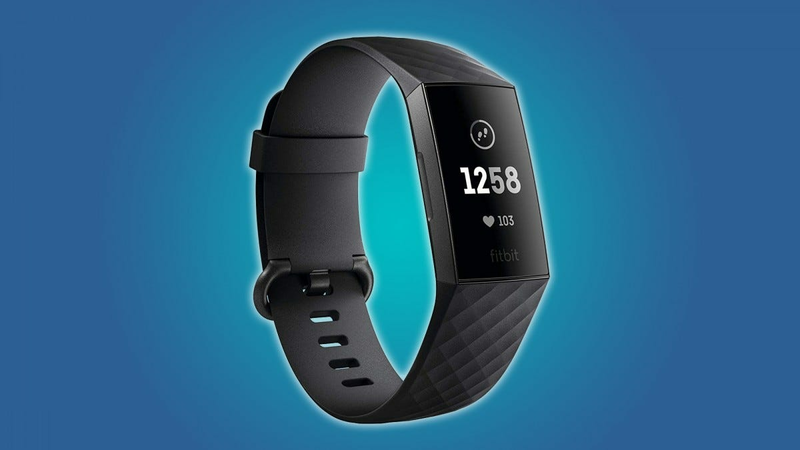 The value proposition is where the Charge 3 falls largely short, though to be fair, FitBit has no one to blame but themselves. The Charge 3 allows you to manually start exercises for precise tracking and gives SpO2 readings for more accurate health info, plus reply to notifications on some Android apps, all features the $100 Alta HR and the newer Inspire HR can’t handle. At $30-50 upgrade (depending on where you buy it) seems reasonable. But the $160 Versa Lite does all of that too, plus a color screen and app support. The only thing it’s missing from the Charge 3 is the altimeter. Unless you really care about the smaller form factor and longer battery life, the Versa Lite seems like the more capable pick, and the Inspire HR is down there at a much better price. And the Versa Lite can control music playback. 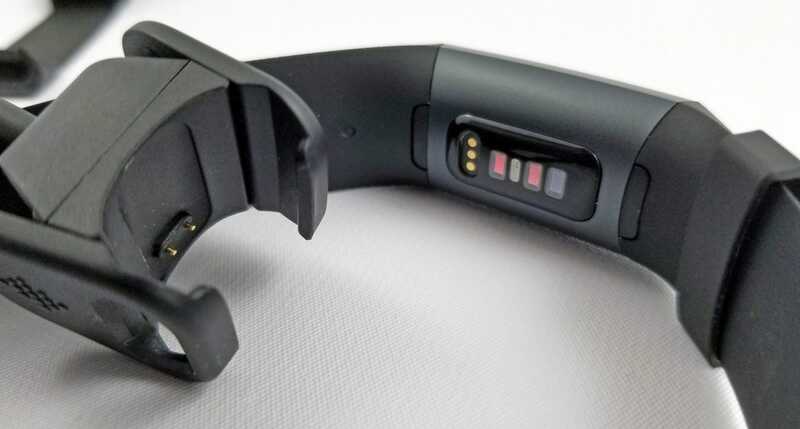 You can make the argument that the Charge 3 is the tracker for more dedicated fitness enthusiasts…but those enthusiasts will probably want even more capability if they’re searching for a dedicated device, like on-board GPS or support for chest band HR devices. If they’re going to spend more and don’t particularly care about fashion, there are more complete options. 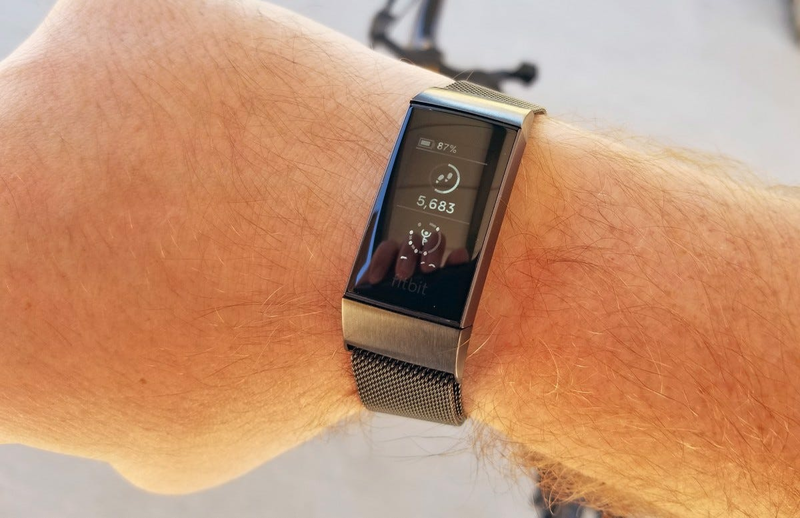 The FitBit Charge 3 is perfectly capable, and if you’re looking for an upgrade to a more general fitness tracker and want to stay within FitBit’s excellent software and social systems, it gets the job done. Onboard GPS and music control would make it much more appealing, but its excellent ergonomics and battery life make up for those shortcomings. But assuming that FitBit’s apps and tracking are what you’re really after, there are options both above and below the Charge 3’s price that might fit your needs better. Those who can live without manual workout starts should check the Inspire HR, while those who want more control and don’t mind a watch form factor will want the Versa Lite for just ten bucks more.